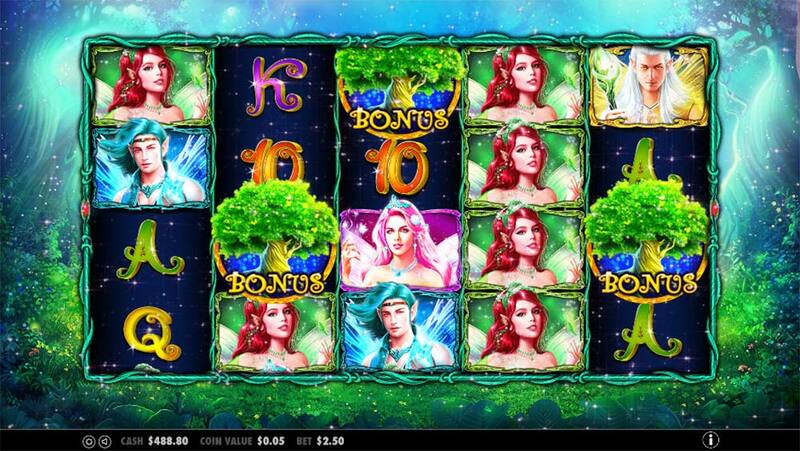 Pixie Wings – The Latest Enchanted Forest Themed Slot From Pragmatic Play! Fantastic news for players at VideoSlots Casino as they have just added a brand new slot provider in the form of the Novomatic/Greentube meaning classic high variance slots such as Captain Venture, Book of Ra Deluxe, and Rumpel Wildspins are all now on offer at the casino, in total there are already 28 Novomatic Slots on offer! To quickly locate all of these new slots simply use the handy “Filter by provider” option and set this to Greentube, this awesome range of slots is not currently available to UK players but these will be added very soon! On top of these new additions, Videoslots has also added the new Merkur slot Rail Road and the latest offering from Pragmatic Play titled Pixie Wings. 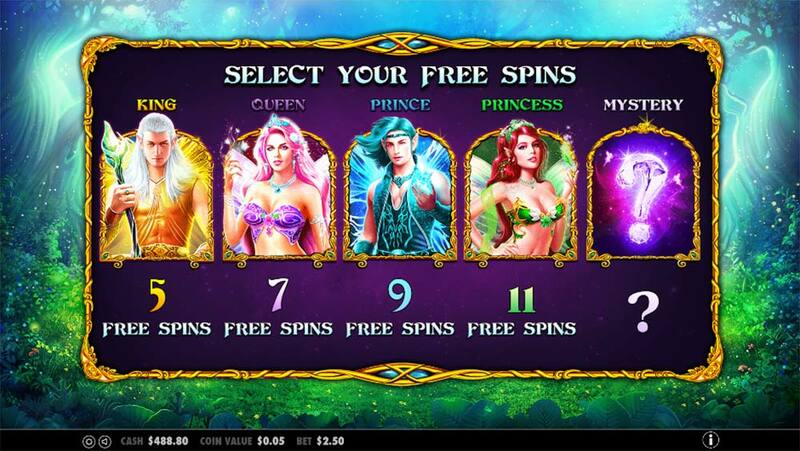 The Pixie Wings Slot is the latest offering from Pragmatic Play which is an enchanted forest themed 50 payline slot, with magical fairies adorning the reels. The Pixie Wings slot uses slightly larger 5×4 reel set and comes with heavily stacked high paying symbols on all the reels along with wilds and the usual low paying 10, J , Q, K and A symbols. 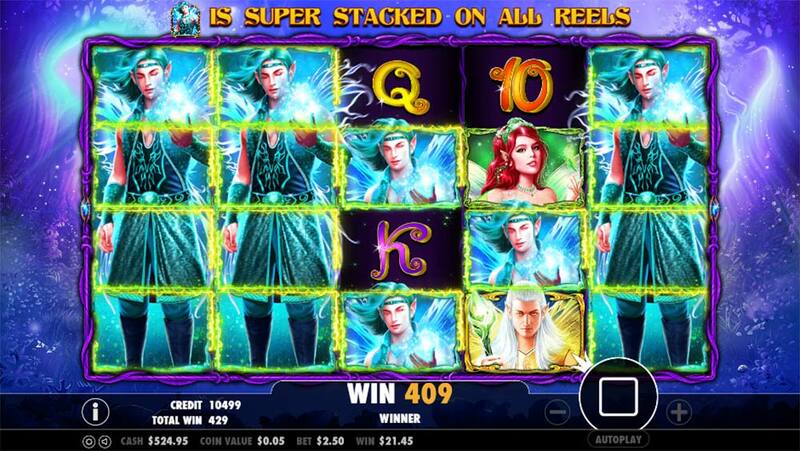 The base game doesn’t really have any special features on offer apart from the heavily stacked symbols on all reels but does offer 5 different free spins rounds which can be chosen by the player once the bonus round is triggered (3 or more Scatter symbols) and this is where the real potential lies when the reels get upgraded with Super Stacked Reels! The main free spins bonus round is triggered by landing 3 or more of the special “Bonus” Scatter symbols anywhere on the reels, this then triggers the bonus round and gives you the option of 4 regular free spins rounds options along with a special Mystery selection. The choice of free spins rounds varies in volatility with the highest paying super stacked symbol option providing the least amount of free spins, along with a special Mystery option which is a randomly chosen symbol which can also include the Wilds along with a randomly awarded number of free spins in the range of 3-12. In our playtest we had mixed results from the Mystery option, sometimes awarding the highest paying symbols with more free spins and the opposite also, the extra reward here is the addition of a super stacked wild symbol on offer which could be a very good option if awarded. 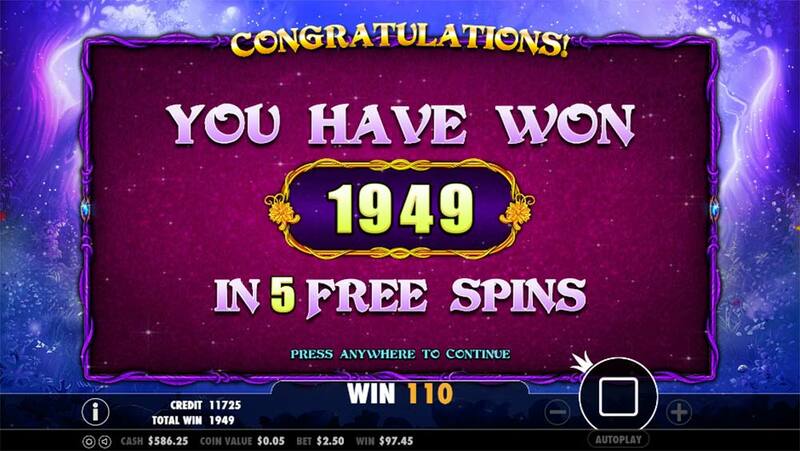 Mystery Option – Randomly chosen symbol (can be wild) with between 3-12 free spins. 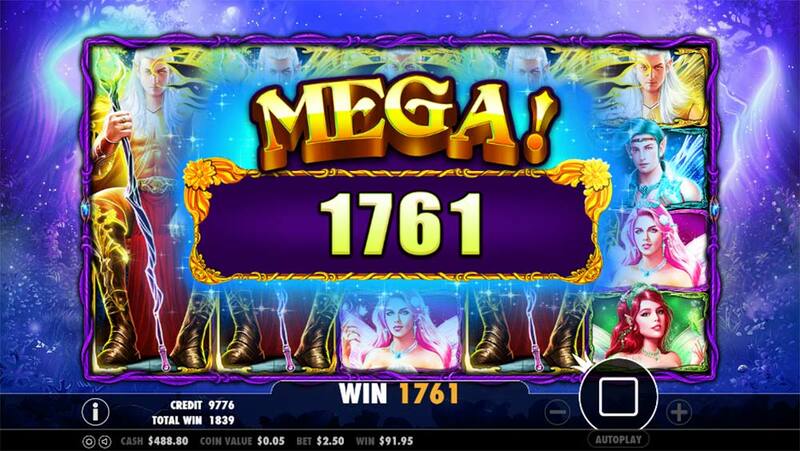 During the free spins round extra free spins are awarded for every single Bonus scatter that lands in view on the reels awarding +1 free spins which can really help to extend the bonus round. 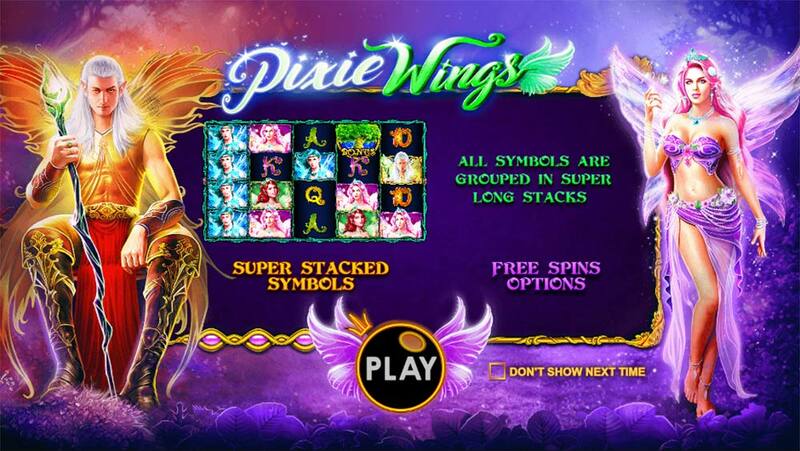 Pixie Wings is another fantastic slot release from Pragmatic Play, visually the slot is superb with graphics that rival any other slot provider, the bonus round offers several different free options allowing the player to choose just how volatile to make the free spins round and to further spice things up the mystery option allows for some very rewarding results if the player decides to gamble on this feature with the addition of Super Stacked Wilds on offer and up to 12 free spins. For players who enjoyed the earlier high-quality releases from WMS, Pragmatic Play now seems to offer online slots in a similar style but is consistently producing top quality releases, making this a range of slots you should definitely check out!